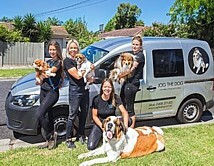 Find dog minders, mobile dog wash and dog groomers in Sydney, Melbourne, Brisbane, Gold Coast, Sunshine Coast, Adelaide and Perth. 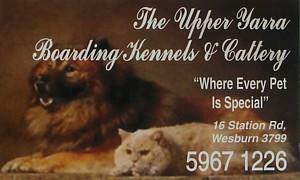 Dog grooming schools, pet sitters, dog daycare and pet friendly accommodation. 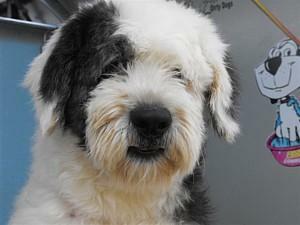 Find dog grooming schools and grooming supplies. 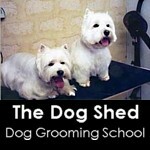 The Dog Shed Grooming School in Perth. Just one of several businesses on Oz Doggy offering dog grooming courses. 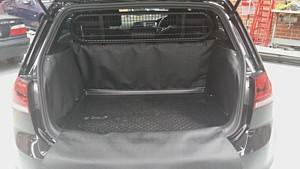 Pet doors for your vehicle - custom built in Adelaide with over 20 years experience. 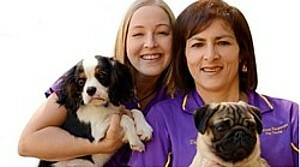 Dog Trainers, Puppy Trainers and Dog Obedience Schools - Melbourne,Brisbane and Gold Coast. Solve dog behaviour problems with puppy training. Start puppy school within 8-16 weeks of getting a new puppy. Dog massage - also known as canine myofunctional therapy - can assist your dogs recovery from illness and operations and improve general health. 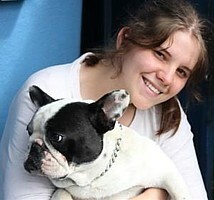 Dog Boarding kennels - Melbourne and Sydney dog kennels - Kennel Alternatives. From just $99 per year in one category, get your business in front of 10000s of Oz Doggy visitors. Dog behaviour and training advice pages below - about excessive dog barking - recently updated. 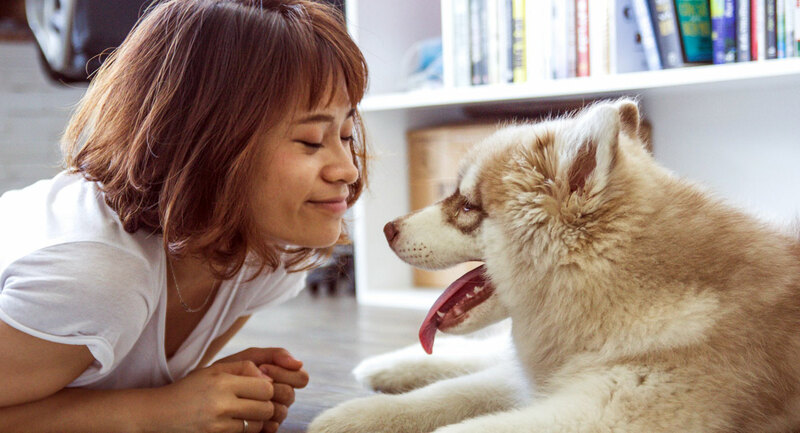 What is the difference between dog minding and pet sitting? Dog Minding and Pet Sitting services are used by dog owners who prefer their dog minded in a family or home environment vs a boarding kennel. Dog Grooming Training Schools - offer a wide range of courses, dog grooming certification, refresher courses or courses for the beginner. 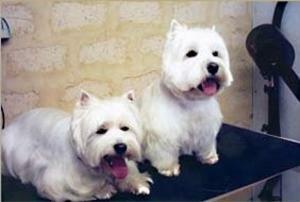 Since 2004 - Oz Doggy is please to have been associated with two of the finest dog grooming schools in Australia. The Dog Shed is based in Perth and offers an intensive 3 week course with one on one training. This course has been very popular with Japanese and Asian students. There is a Japanese testimonial on The Dog Shed website. 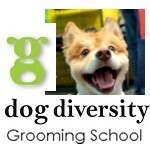 Melbourne based Dog Grooming School Dog Diversity is owned by Natalie West. 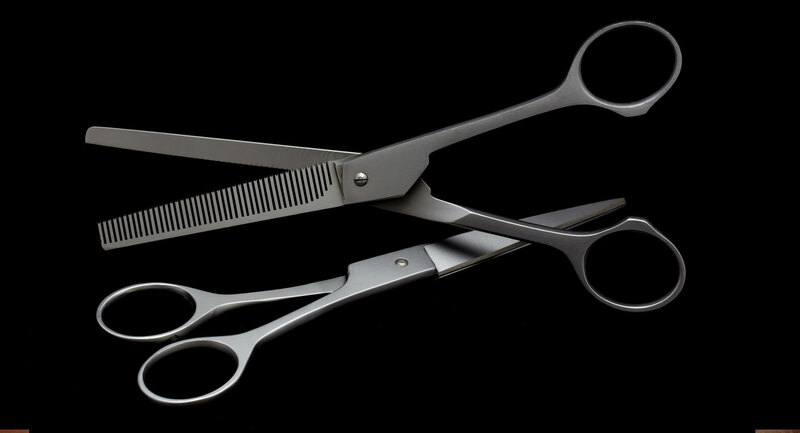 For over 15 years Natalie West has provided dog groomer training in TAFEs, Universities, Salons and Adult Education Centres throughout Australia. Based in Melbourne, Natalie and her team offer 3-75 hour courses and all tuition is one on one. In addition to dog groomer training - Natalie and her team also run a busy dog grooming salon Doggy Dooz and they have produced and have for sale - DIY dog grooming and clipping DVDs - covers 6 popular breeds per edition. Oz Doggy dog advice and dog behaviour problems were answered by our resident dog advice guru, Bec - The Sydney Dogwalker. 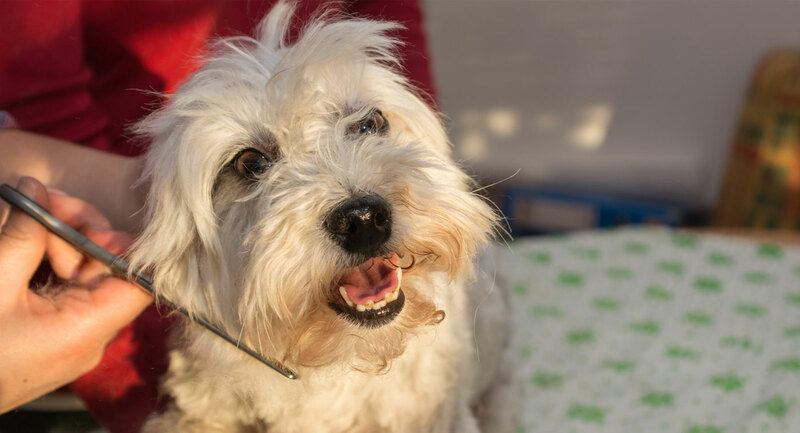 Bec has owned her own dog walking business Paws On Paths where she daily puts all her skills in to practice caring for dogs and other pets in Sydney. She is also the proud mother of Jimbo the Wonder Dog, her very cute Jack Russell. 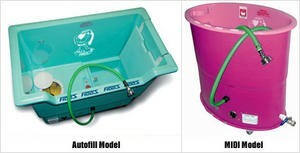 Or see info about dog swimming pools. Dog Training and Behaviour Advice - Oz Doggy has over 600 pages of dog behaviour and training tips. HI,My dog of 9 yrs (labXwolfhound) and i are moving into a new house about 30 mins away. My dog has been an outside dog since i have owned her at 3mths. My bf and his smaller dog (mini foxy-who thinks he is a human and is an inside dog which likes to mess on carpet) are moving in also. What strategies can i do to help my dog adjust to the new environment? As well as strategies to help the mini foxy be more of an outside dog and stop messing inside? Secondly, Do you have any remedies for keeping possums away from the property, as my large dog likes to chase them? thank you for your time. With computer problems galore, I seem not to have replied – my apologies. Moving is very stressful for dogs, more than it is for people. So please be patient. A move allows for new rules and new approach to be implemented and with patience, guidance and praise you can get a long way. Important is to establish the right leadership from the moment you move, and e.g. no dog comes in unless toileted before let in. Once the two dogs have settled great to try and get them to be together, e.g. inside and outside, and on the mat etc. Start putting the mini foxy out with the big dog for short times and reward when quiet and only bring in when quiet. Teach him it is OK to be out and never use outside as punishment as you will be back to ‘0’. On the possum side, they are protected in VIC, so my dogs sleep inside in the laundry. That gives is a no barking, safe environment, and as there as limited windows, they sleep longer – important in summer time!